VGX show brought a lot of game news last weekend, and among them we have several interesting details about Thief game. Thus, during the event the developers presented the companion application for the upcoming stealth-action and showed an exciting Thief trailer. There will be two versions of the Thief companion app. The first one will bring the Thief-related news and other information from the game's world. This application is going to be free. The second version - premium app - will be free only for those, who will pre-order Thief on GameStop. The premium application will be featuring the full statistics, leaderboards, in-game news and customization options. 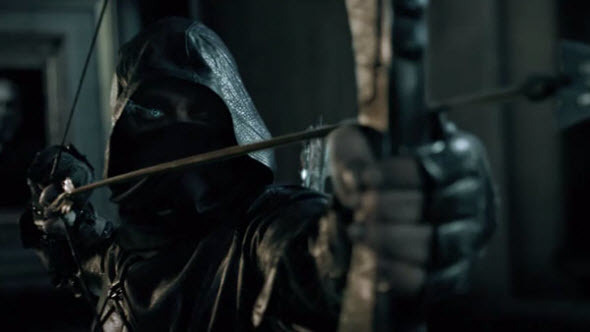 Together with the companion app, the developers presented a new Thief trailer last weekend. The video is considered to be a story trailer, in which we are able to find out interesting and previously unknown details about the City and Garrett. Thus, we will see several new heroes - beautiful Erren, an old woman, some strange Garrett's friend and "Brothers of Awakened". Also at the end of the video a very mysterious creature, which, as the video tells us, is even more dangerous in the shadows than Garrett itself, is spotted. What do you think about it? Thief game is going to be released on the 25th of February in North America and three days later in Europe. Are you waiting for it?